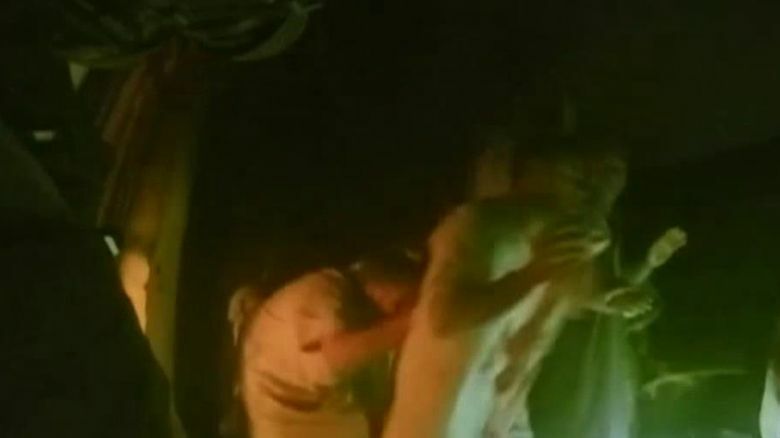 On “America’s Newsroom,” National Security Correspondent Jennifer Griffin reported on new video footage showing the daring rescue mission carried out last week by U.S. and Kurdish forces on an ISIS prison in Iraq. The men are barefoot, most of them wearing long robes, some with large stains. As voices holler at them in the darkness to move quickly, they hurry across the debris-littered floor past the gun-wielding soldiers. 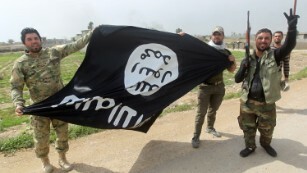 Members of Iraqi paramilitary Popular Mobilisation units, which are dominated by Shiite militias, celebrate with a flag of the Islamic State (IS) group after retaking the village of Albu Ajil, near the city of Tikrit, from the jihadist group, on March 9, 2015.